WonderFestival Winter 2019 in Japan (2.10) is upon us and with it a wave of sweet soft vinyl including three new Exclusive Angel Cats from Miloza Ma. Jade, Macaroon and Tiger look great. The agonizing bit? Limited to two pieces each via table 4-28. In addition to the fun, retro styling, Angel Cat also impresses with both standing and sitting poses, something rarely seen. 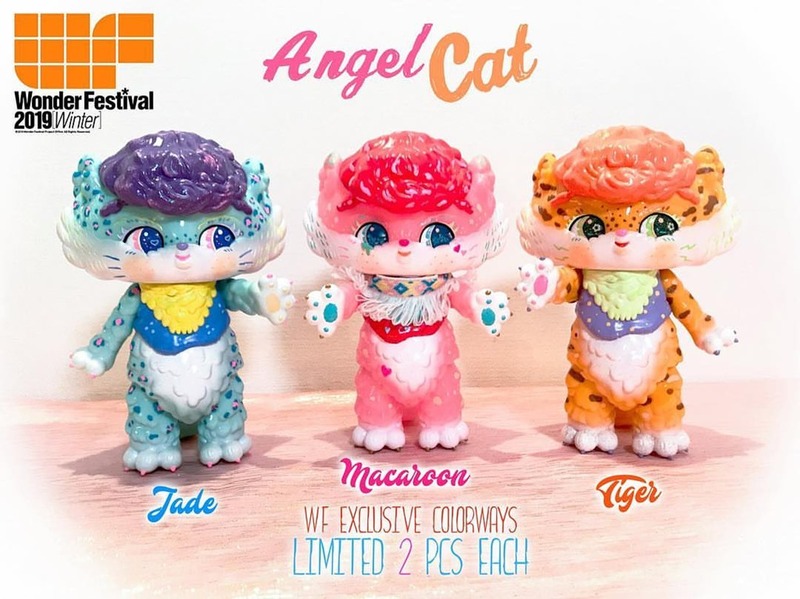 While the WF Exclusives are likely instant sell-outs, the artist does have three editions of her Mini Angel Cats (~3.5") in stock via her web shop.